, to support each other and to win or lose as a team. • Fall Season-September to mid-November. during off season is encouraged but optional. 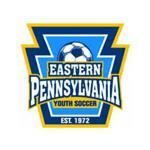 Saucon Valley Soccer is a volunteer organization. We can always use new volunteers to help out at the board level or on the field coaching or assistant coaching. Experience with Soccer is a plus but not necessary. We are happy to support and help out volunteers that are new to the sport. Without volunteers we cannot exist. Please consider volunteering your time for a worthy cause (the kids!). Also, please be patient with our coaches and administration as they are all volunteers taking time out of their schedule to help our club and community.